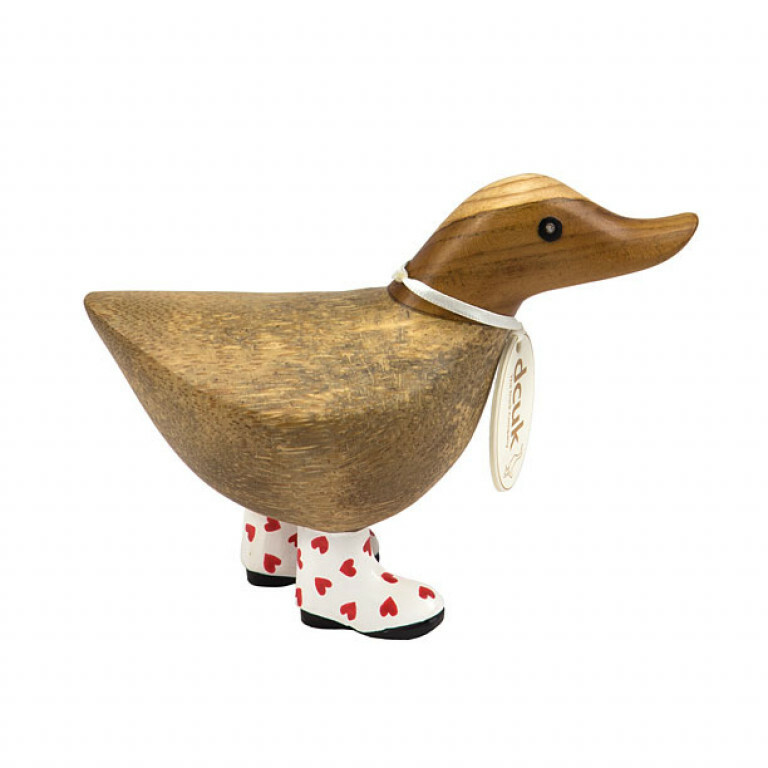 Natural Welly Duck Family with Red Heart Wellys. Two randomly selected Ducklet's (mum coming with a matching ribbon), Duckling and Ducky. Usually £83.96 as a family, Now Only £79.99! 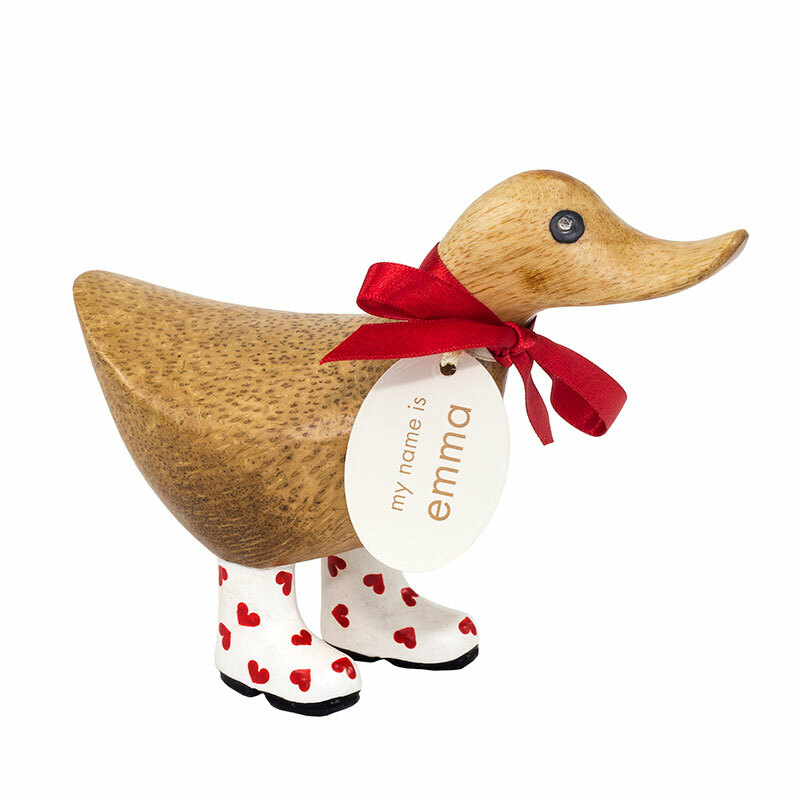 Ducklet stands approximately 30cm high, Duckling 18cm high, Ducky 11cm high. Hand carved, with a randomly selected name and name tag (unless requested). Please note, all text on tags is in lowercase only. Hand carved, in various different poses, each duck is unique, and may vary from the photos shown slightly in colour and size. Please only state a name if you have chosen "Choose your own name".